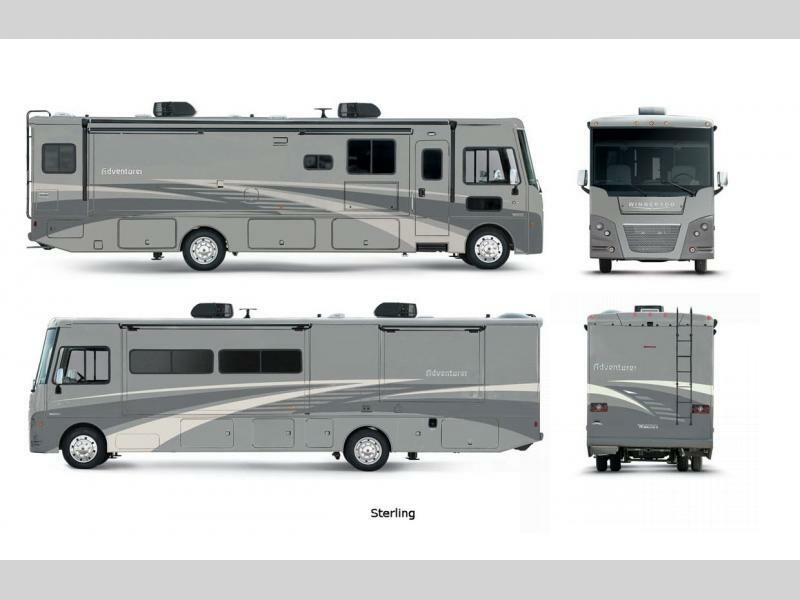 Winnebago proudly introduces the Adventurer class A gasoline motorhome to its lineup. 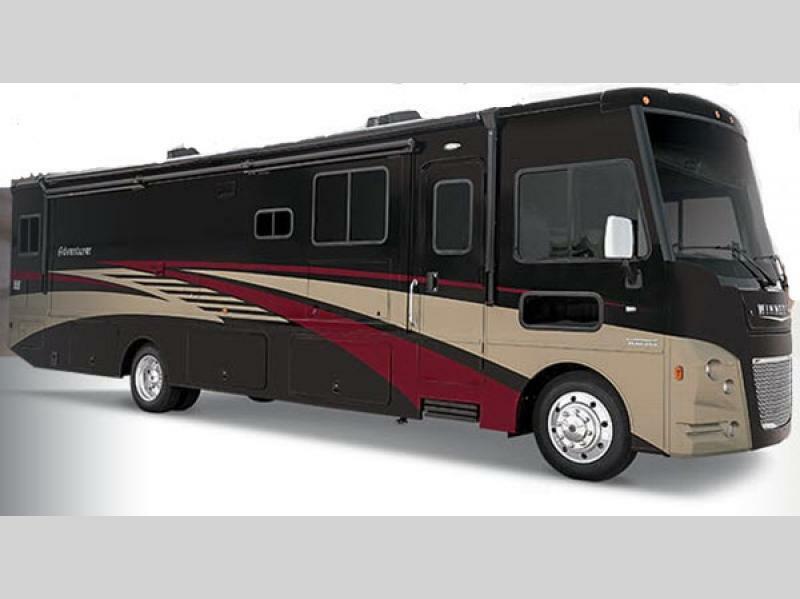 If you haven't given class A gas a chance, now is the perfect time! 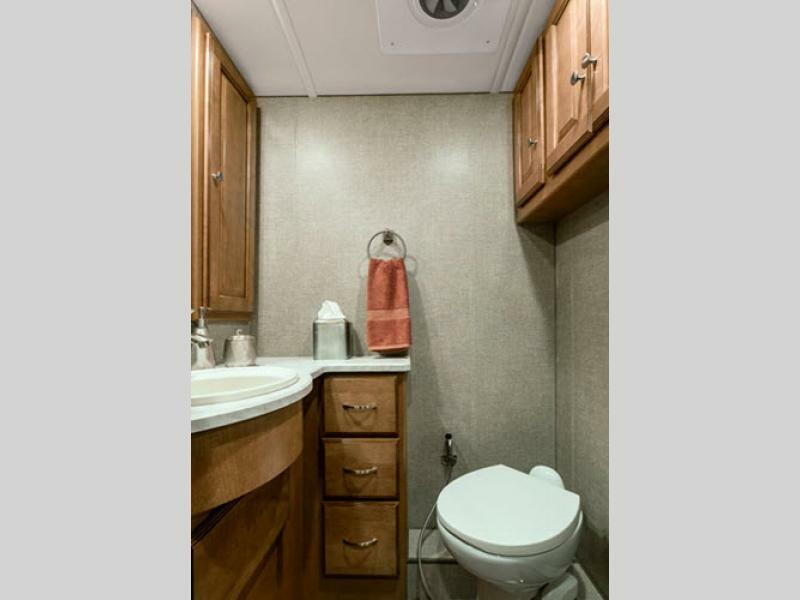 These units are built with all the amenities you enjoy in a diesel motorhome, but with value you can appreciate. 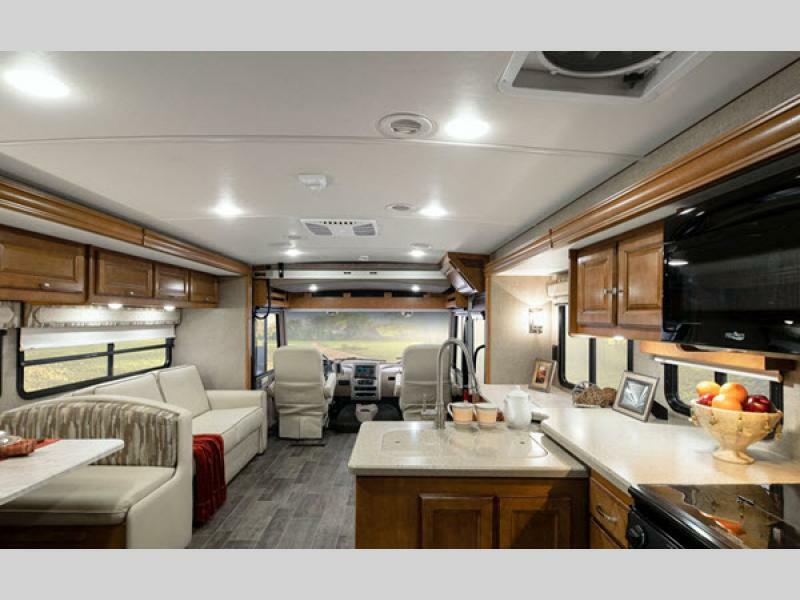 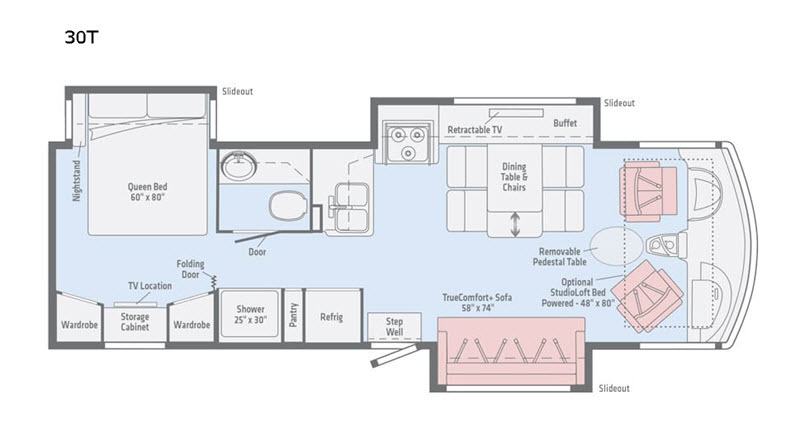 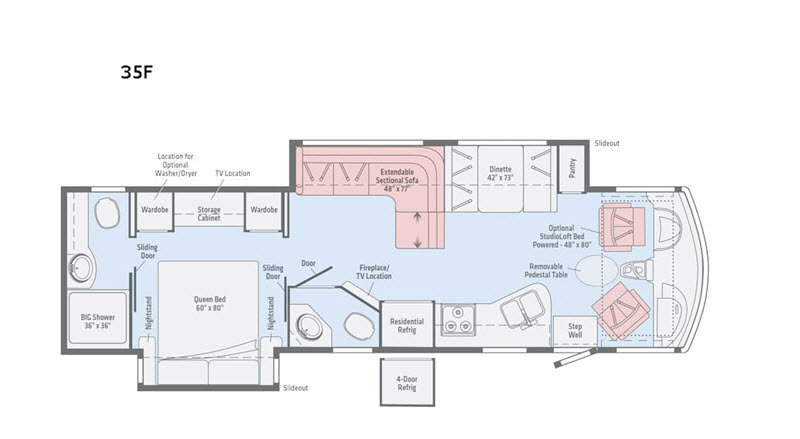 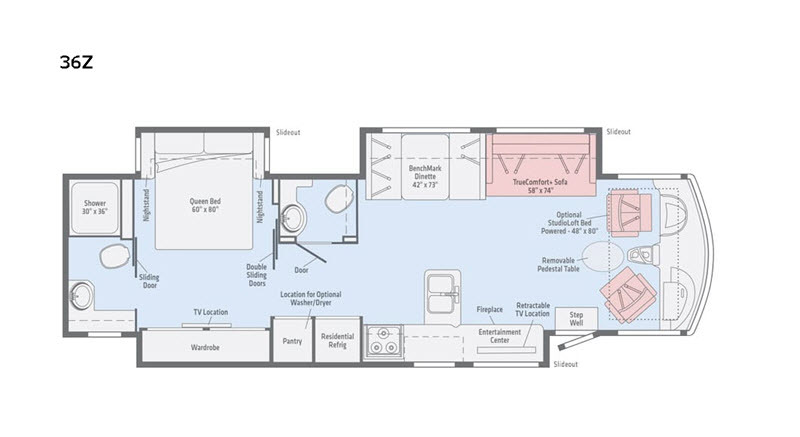 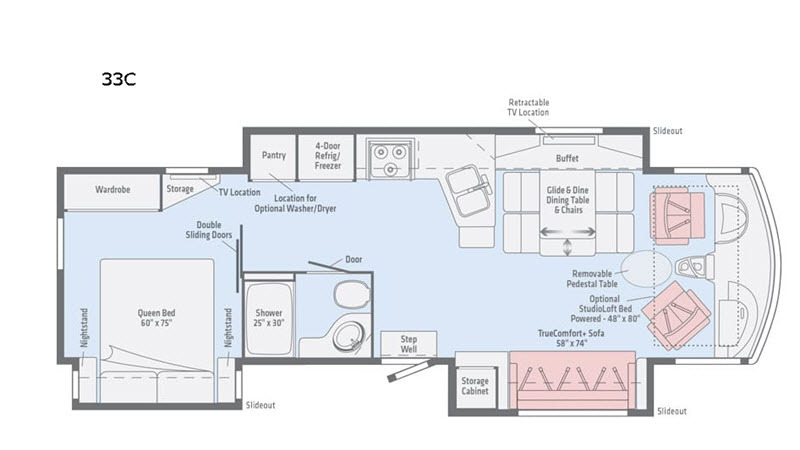 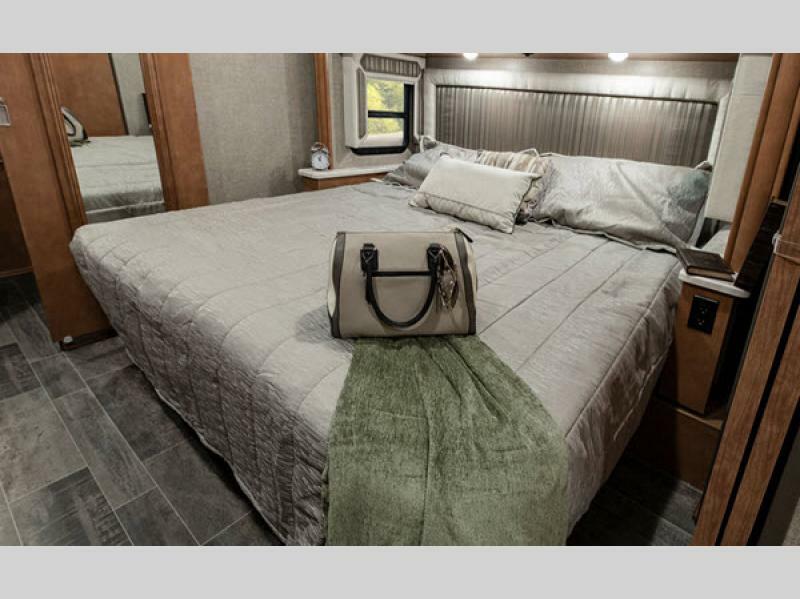 Whether you want to travel across the country, or take your family on a weekend getaway, the Winnebago Adventurer features multiple floorplans to meet your needs. 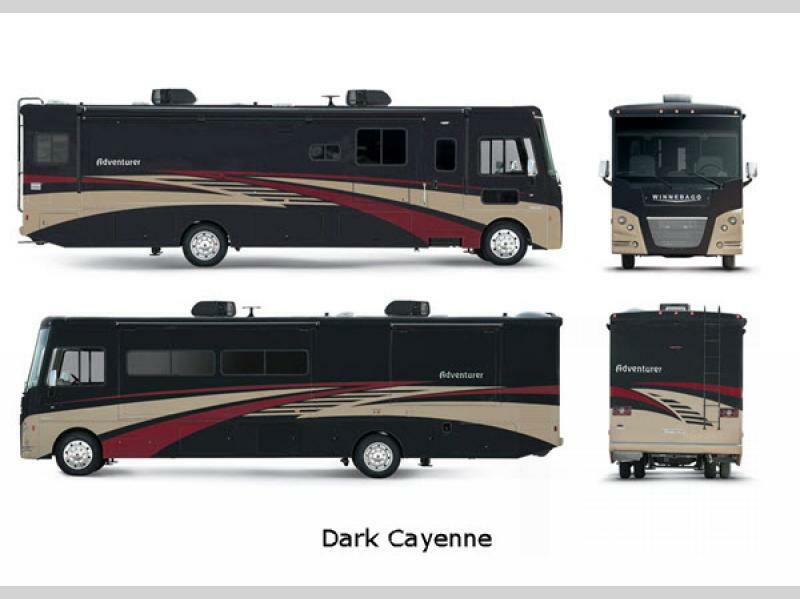 These motorhomes have been designed with full body paint with chrome mirrors, and a Versa drivers seat, which allow you to turn the drivers seat completely around and it becomes part of the seating area. 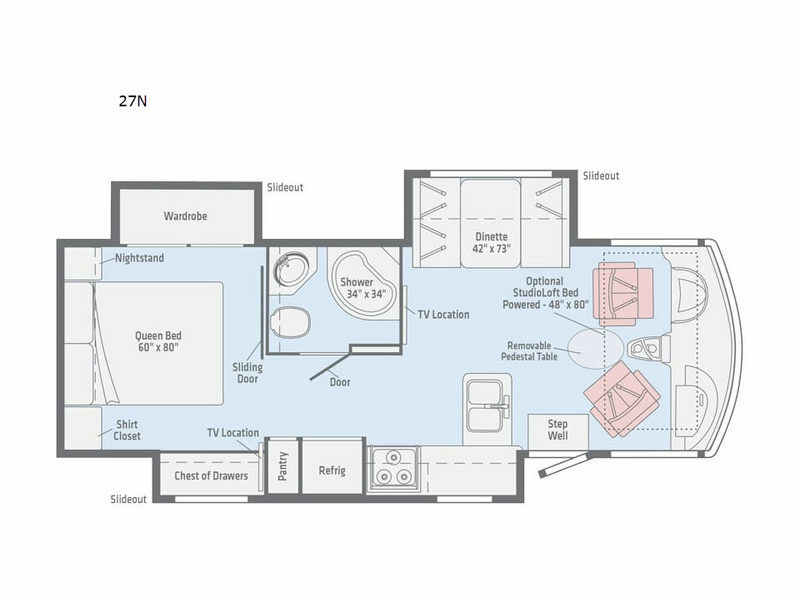 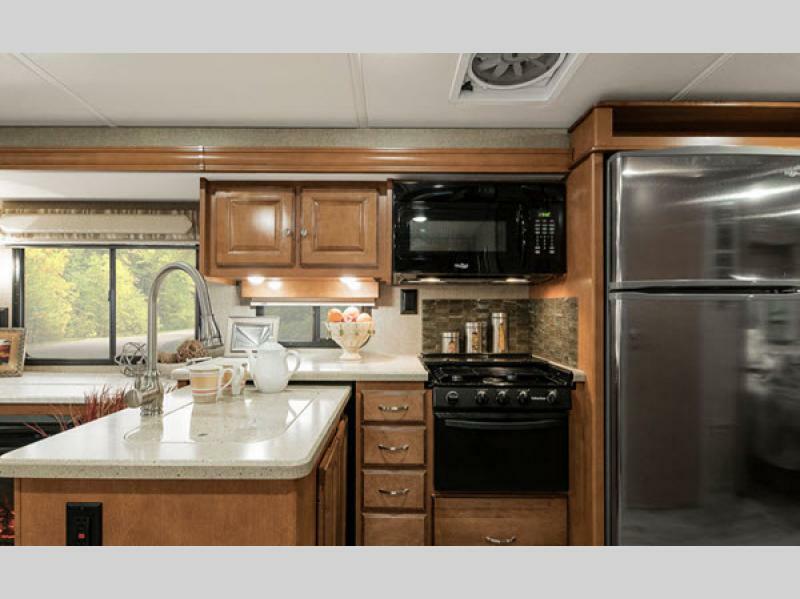 Each unit features MCD solor/blackout roller shades, Corian countertops in the galley and bath, and a double stainless steel sink, plus generous storage space to make you feel right at home. 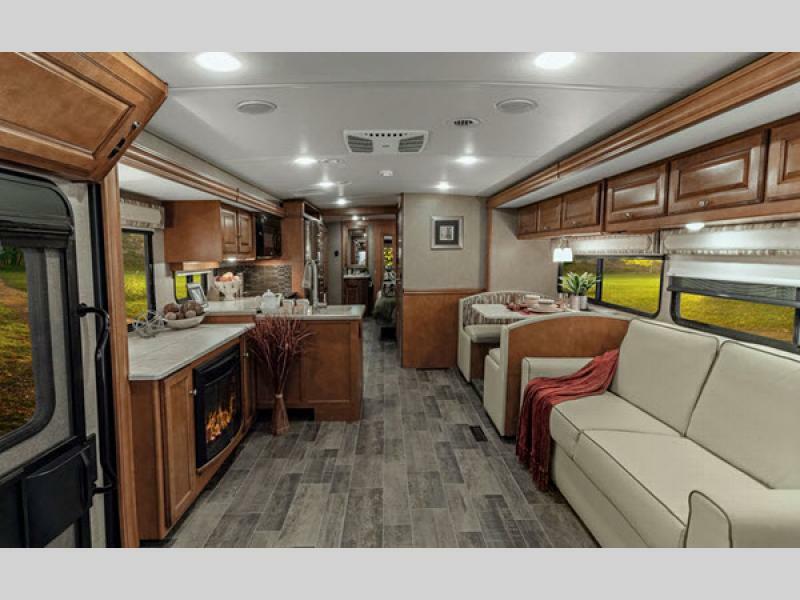 These Winnebago Adventurer class A motorhomes have the perfect balance of value and features you're going to love, come choose the right floorplan for you today! 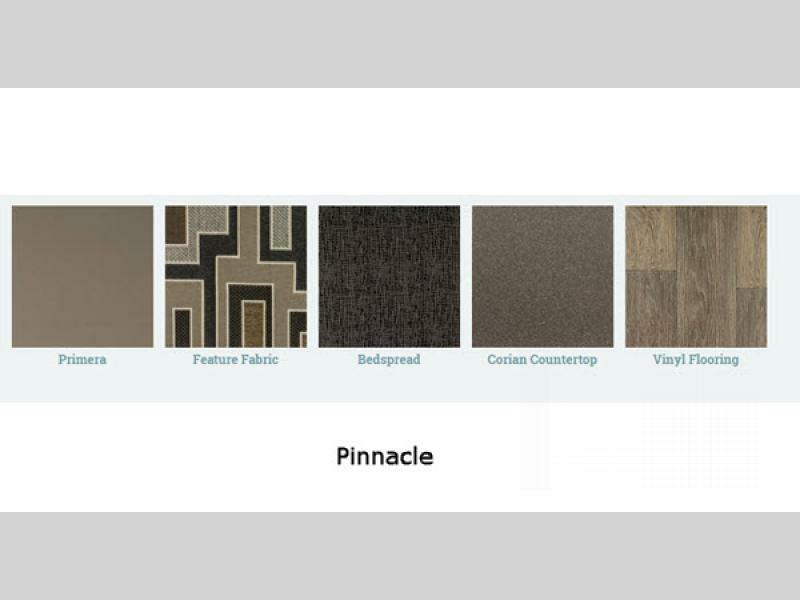 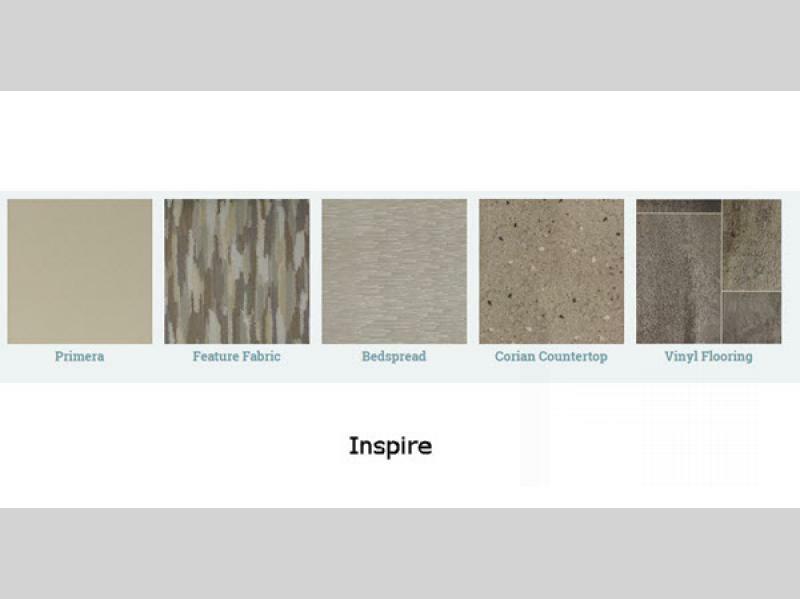 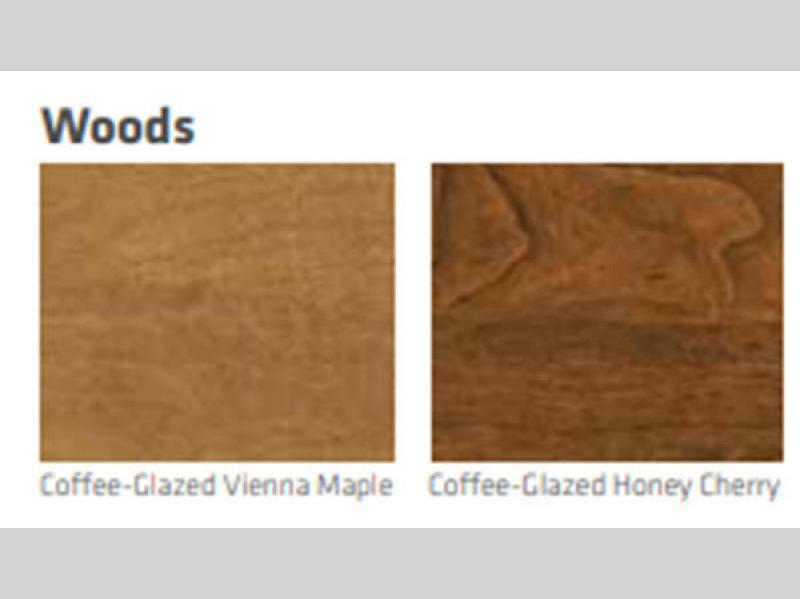 See us for a complete list of standard features and options.